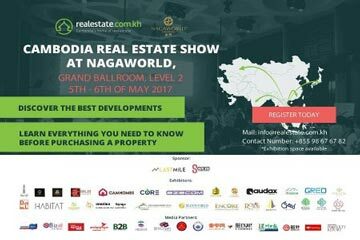 ZICO Law member firm, SokSiphana&associates, will be participating in the Cambodia Real Estate Show, a platform for leading development and investment opportunities in Cambodia. Managing Partner, Dr Sok Siphana and Partner, Matthew Rendall will be presenting on the topic of Foreign Ownership in Cambodia: Regulations and Practice. The panel will be held on 5 May from 2:30pm to 3:15pm. The event will incorporate thousands of local and regional property investors, and help property seekers understand how to safely invest in this exciting market. Seminars will cover a range of topics including Economic Growth Prospects in Cambodia, Foreign Ownership in Cambodia, Consumer Trends in the Cambodian Real Estate market, Infrastructure Developments in Cambodia and Managing your Asset.